Over 500 students from 16 schools in Delhi participated in an online quiz competition. A set of 50 questions were asked to be answered by the students aged 13- 15 years. We used Google form to generate the questions and administered test across the schools by opening a window of a few hours. Results were compiled using MS Excel and Flubaroo. The data collected suggests that the children have developed significant awareness about the SDGs. Pl visit the following link; Link: https://docs.google.com/forms/d/e/1FAIpQLSe-38m60cOs3j3ViAMr-5KMWe7rF1uXPI7zl5PpiWLDY2sSWA/viewform Results are now ready. 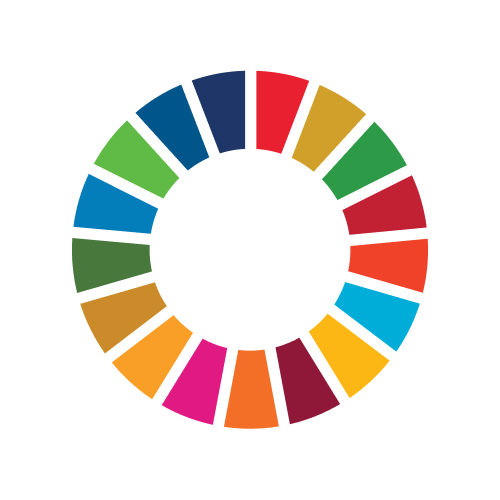 The resulting sheet highlighting SDG goal for each participating school will be shared. TEDxAhlconIntlSchool We organised first ever TEDx talk to share the ideas worth spreading. All six speakers focused their central theme around sustainability. Gen P.K. Saighal, Mr Kunal, and Mr Varun Khullar dealt with Quality Education and inclusion. Swami Chidrupanand shared ten simple tips to lead a happy, peaceful and fulfilling life. Dr Arvind talked about well-being and climate. Ms Marie Elangovan took up art, culture and international understanding for her presentation. Mr Ashok Pandey did Masters in Physics from Allahabad University andConsultancy Management from BITS, Pilani. He served as Chairman, National Progressive Schools' Conference (NPSC)(2015-17). Author of several articles, and research papers, his first book the Pedagogical Life-Essays in Educating India, was published last year. He is a recipient of several National and International awards including National Award' (2012) for his contribution in education. He has a keen interest in School transformation, and Sustainable Development Goals (SDGs). He travelled to Germany, Vietnam, UK, and USA and other countries. He participated in Australia – India Leadership Dialogue held in Melbourne, Australia in 2017. Ahlcon International School established in 2001 is a progressive and liberal school which has genuinely lived its motto ‘Global perspectives Indian values'. Ahlcon International School under the leadership of Mr Pandey has engaged successfully integrating SDGs in the teaching-learning process. The journey that started in 2016 has witnessed embracing of the Sustainable Development Goals by each section of the school wholeheartedly, and now all our endeavours are aligned with SDGs. Our partners in learning, our parent community is equally enlightened and motivated to make SDGs, their goals for leading a responsible life.